I'm sure you guys can pinpoint somone you knew/know who falls into the Trish category. I know I met my share throughout life. Social butterflies, popular (and usually mean?? I don't know how those two seem to go together... but I guess that's because I was never popular?). And in swoops Mandy when "Queen Vapid" (As she is called in the novel) makes her way back to her social circle. Mandy and Michael have been friends since Kindergarten... and I think that shows in how they converse with one another. Very affable, very easygoing conversations. 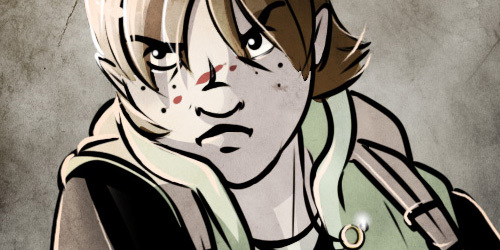 This week we have another round of "post-apocalyptic" webcomics. How do you survive after the world falls apart? That's what these comics explore! WiT and 6 Commando are both comics I follow religiously. WiT since it first started! 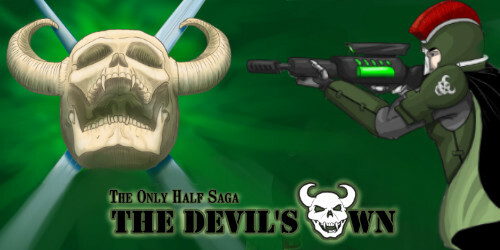 The third is my other webcomic which combines not only Post-Apocalyptic themes, but urban fantasy themes as well!! FAIR WARNING: All three of these entries are of Mature Content! 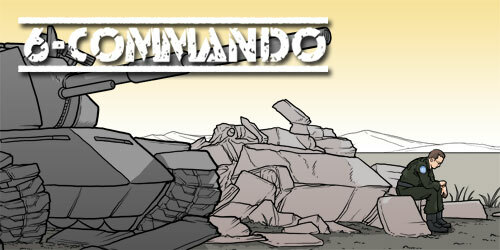 6-Commando - Mike-One-Echo is a giant robotic tank designed to win an atomic war, but he wasn't supposed to start one. Programmed with the highest ideals of mankind and the weaponry to end civilization, he is now on a mission to execute one last program: to save as many people as he can - no matter whose side they're on - from the ravages of the war he started, and from themselves.